FastFingerprints Fingerprinting Service Locations in Ohio, Akron, Canton, Cleveland, Dayton, Cincinnati, Toledo, Florida, Califorina, Texas, Arizona and DC. Below you will find a listing of our fingerprinting service locations in the various states we serve. While we strive to provide convenient locations that are easily accessible to your employees, we understand your staff may be unable to travel. For this reason we also provide a mobile fingerprinting service (Ohio only) that can come to your office or business location. If you need to be electronically fingerprinted for FBI Channeling, please review our Fingerprint Capture Checklist prior to visiting one of the FastFingerprints locations. Take the White Pond Drive exit off of I-77. Services: Livescan electronic fingerprinting for Ohio BCI and/or FBI background checks. Hours: Monday-Friday 8:00am-4:45pm. WALK-INS WELCOME! Located inside Hondros College, down the street from Giant Eagle. Services: Livescan electronic fingerprinting for Ohio BCI and/or FBI background checks, and Fingerprint Capture for FBI Channeling. Hours: Monday-Friday 8:00am-5:00pm, Saturday 8am-12pm. Services: Live scan electronic fingerprinting for Ohio BCI and/or FBI background checks, and Fingerprint Capture for FBI Channeling. Down the street from Junior's Tavern, at the Betts Avenue traffic light. Located inside Mullaney Medical at the intersection of Montgomery Road and Ridge Road. Look for the green and white Mullaney Medical sign! Hours: Monday-Friday 9:00am-5:00pm, WALK-INS WELCOME! Inside the Hondros College of Business, located in Tyler's Business Park Campus next to the firestation and behind Meijers. Services: Livescan electronic fingerprinting for Ohio BCI and/or FBI background checks, Fingerprint Capture for FBI Channeling, and fingerprint card printing. Hours: Monday-Friday 8:00am-5:00pm, Saturday 8am-12pm. WALK-INS WELCOME! 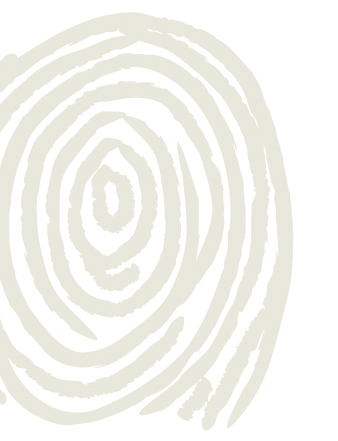 Services: Live scan electronic fingerprinting for Ohio BCI and/or FBI background checks. Hours: Monday-Friday 9:00am-1:00pm & 2:00pm-5:00pm. WALK-INS WELCOME! Services:Livescan electronic fingerprinting for Ohio BCI and/or FBI background checks, Fingerprint Capture for FBI Channeling, fingerprint card printing, and oral drug screenings. ***Florida Level 2 live scan background checks also available at this location (with or without photo)*** Fingerprint Capture for FBI Channeling. Hours: Monday-Friday 8:00am-12:00pm & 1:00pm-5:00pm, Saturday 9:00am-12:00pm. WALK-INS WELCOME! Located inside Hondros College, 2nd fl, across the street from Longhorn's Steakhouse, Applebees and Wasabi Restaurant. Services: Live scan electronic fingerprinting for Ohio BCI and/or FBI background checks, fingerprint card printing, and fingerprint capture for FBI Channeling. Hours: Monday-Friday 8:00am-5:00pm, Saturday 8:00am-12:00pm. WALK-INS WELCOME! *Drug screening only available during Monday-Friday 9:30am-4:00pm. No Saturday Drug Screenings. Hours: Monday-Friday 8:00am-5:00pm, Saturday 9:00am-12:00pm. Across the street from the Cross Pointe Shopping Center (Bed, Bath & Beyond side) off of E. Alex Bell Road in Centerville. Near Fortis College. Services: Live scan electronic fingerprinting for Ohio BCI and/or FBI background checks, Fingerprint Capture for FBI Channeling. Hours: Monday-Tuesday and Thursday-Friday 8:00am-4:00pm, Wednesday 9:00am-1:00pm WALK-INS WELCOME! Hours: Monday-Friday 9:00am-4:30pm, WALK-INS WELCOME! Services: Livescan electronic fingerprinting for Ohio BCI and/or FBI background checks, Fingerprint Capture for FBI Channeling and fingerprint card printing. National Background Check, Inc. and FastFingerprints Corporate Office. Inside Hondros College located near 161 and Sunbury Rd, on the road between McDonalds and Kroger Shopping Center. Services: Electronic fingerprinting for Ohio BCI and/or FBI background checks, Fingerprint Capture for FBI Channeling, and fingerprint card printing. Hours: Monday-Friday 8:00am-5:00pm, Saturday 8:00am-12:00pm.